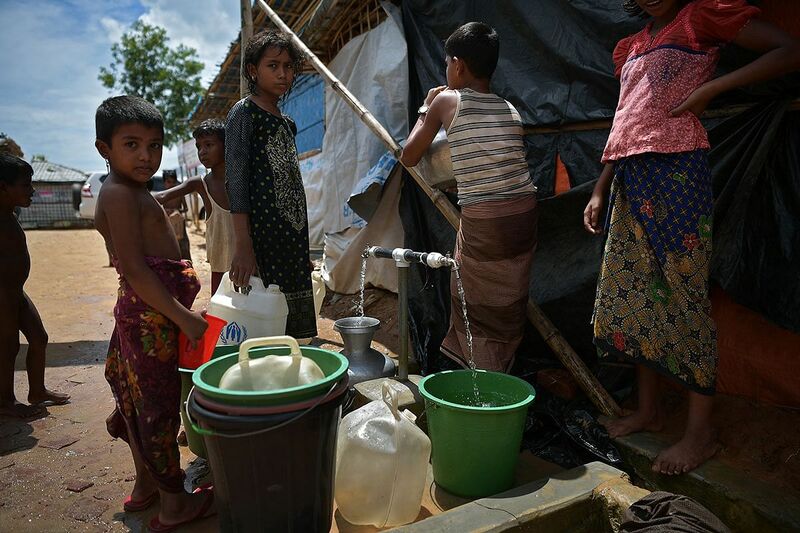 Of the 919,000 Rohingya who have made their way to the shelters in Cox’s Bazar, 54.6 per cent are children below the age of 17. Some 5,546 households are officially headed by children – because both their parents are dead. 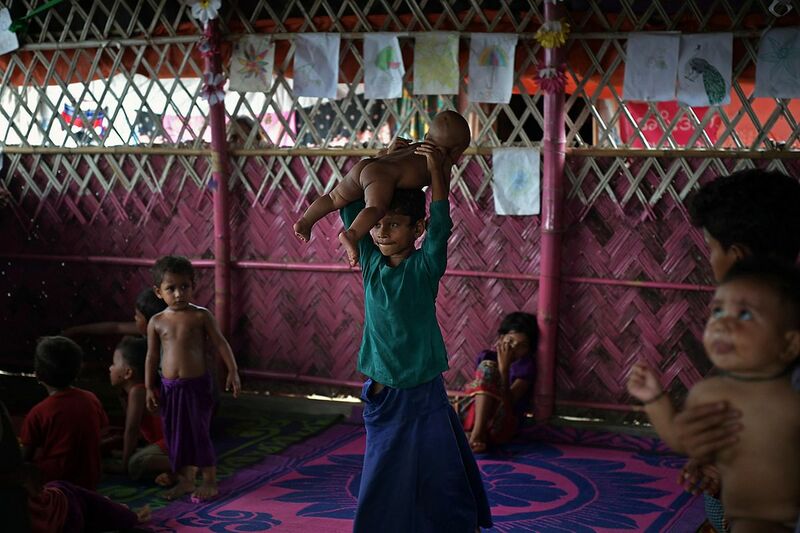 COX’S BAZAR - Childhood is a luxury that some children cannot afford. Not when they have a household to run. Umar Hassan was 12 years old on Aug 25, 2017 – Myanmar’s evening of murder and shame. He saw his mother violated then killed along with his father. Umar fled their home with his sister Supaira, then seven years old. He begged for food to feed her. He then found another family, which despite already comprising six children, took them in. 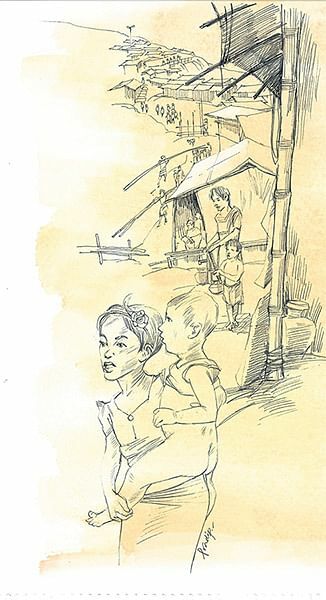 Supaira – whom he calls Putu (little girl) – remains his responsibility. If he sounds more like a parent than a brother, more like a grown-up than a child, it is because he has aged before his time. And he is not alone. There is 17-year-old Julehah, who takes care of her two younger siblings; and 12-year-old Najmah, who takes care of three. 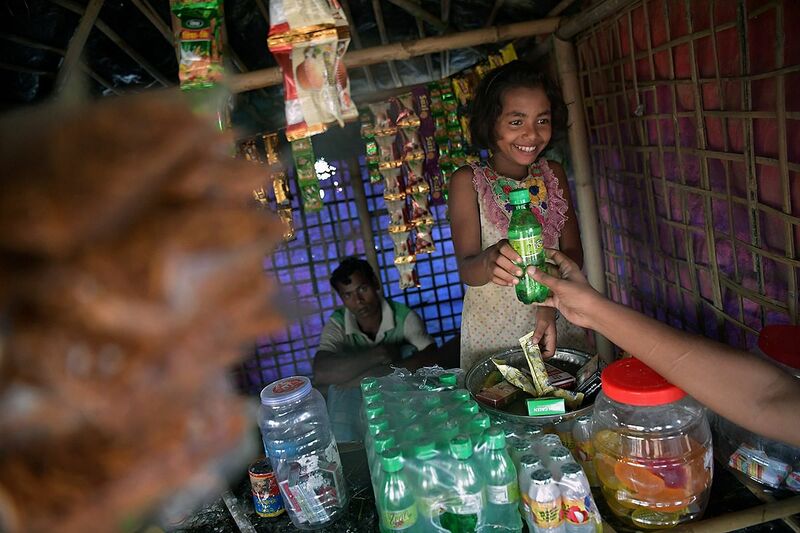 There is 10-year-old Nur Sadiah, who sells Burmese cigarettes at a stall and can count, even if she can’t write. There is 11-year-old Rafiqa Bibi, who had to be separated from her seven-year-old sister Shafiqa Bibi. Their parents were killed and, since a single family could not take in both sisters, each went to a different home. “I told my sister we have no choice,” she said. And then, there are the 5,546 households officially headed by a child – because both parents were killed and the child had to take charge. These are the children who cannot afford the luxury of childhood – even in a township of children. 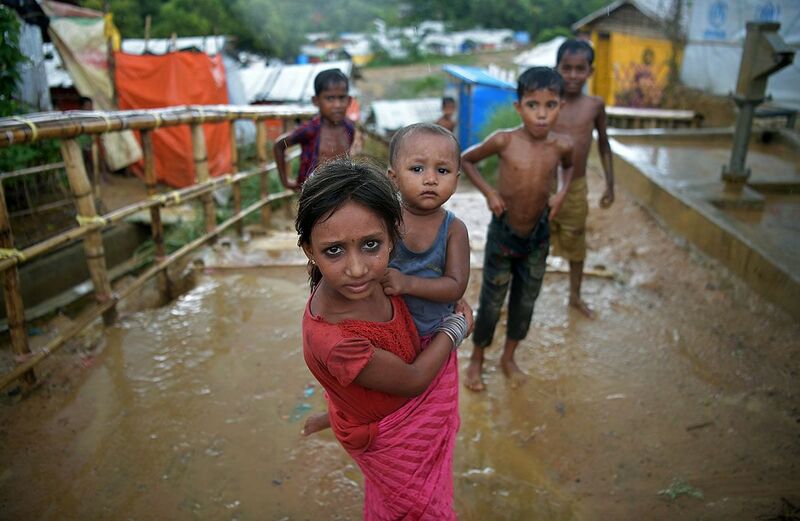 For, in essence, that is what the Rohingya camps in Cox’s Bazar are. 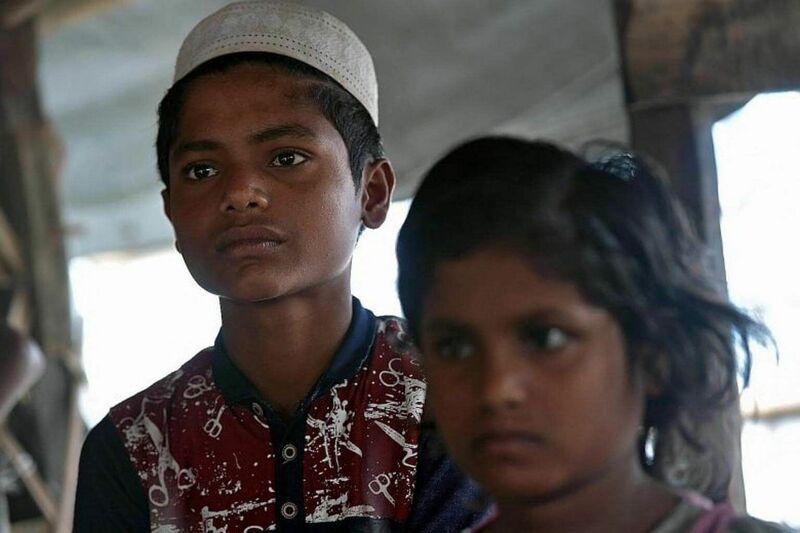 Of the 919,000 Rohingya who have made their way to the shelters in Cox’s Bazar, 54.6 per cent – or nearly half a million – are children below the age of 17, according to United Nations agencies. They have taken over the streets of the camps. Some are cavorting in the rain shirtless, often shortless. Clusters of them play marbles frighteningly well, which comes from doing this several hours a day. Some jump into the brackish ponds or defecate by the side of the mud path. It could be a scene from any poor country, but for the sheer crunch – 500,000 children packed into an area smaller than a little village not even the size of Sengkang. When the ground was even, my sister walked. When it was muddy, I carried her. Umar Hassan, who saw his mother violated, then killed along with his father. The one place you will not find children here is where children are usually expected to be – at school. There are no schools for Rohingya children. Some of them attend madrasahs for a couple of hours a day. Others attend learning centres run by non-governmental organisations for three hours a day, where volunteer teachers try to acquaint them with the basics of numbers and the alphabet. 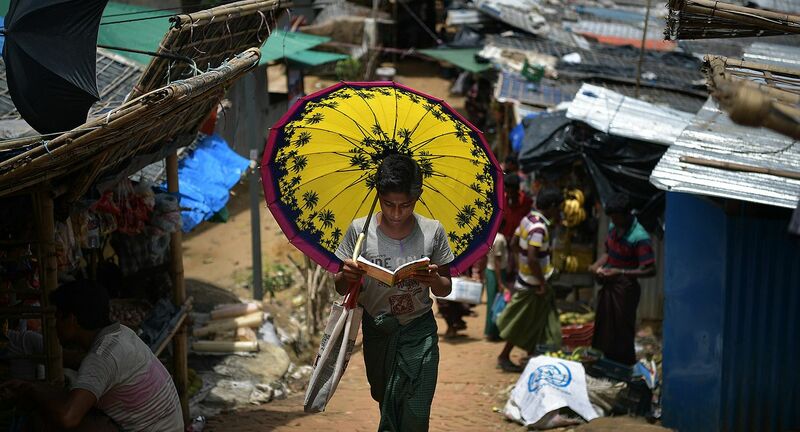 Even that does not interest most Rohingya families, as only 139,000 of the 368,000 children between four and 14 in these camps bother to show up for such informal schooling. Bangladeshi non-governmental organisation BRAC, which has set up 200 learning centres in camps, freely acknowledges the challenges that organisations face in trying to educate children, who know only Burmese - from the land of their birth - not Bengali, the language of Bangladesh. 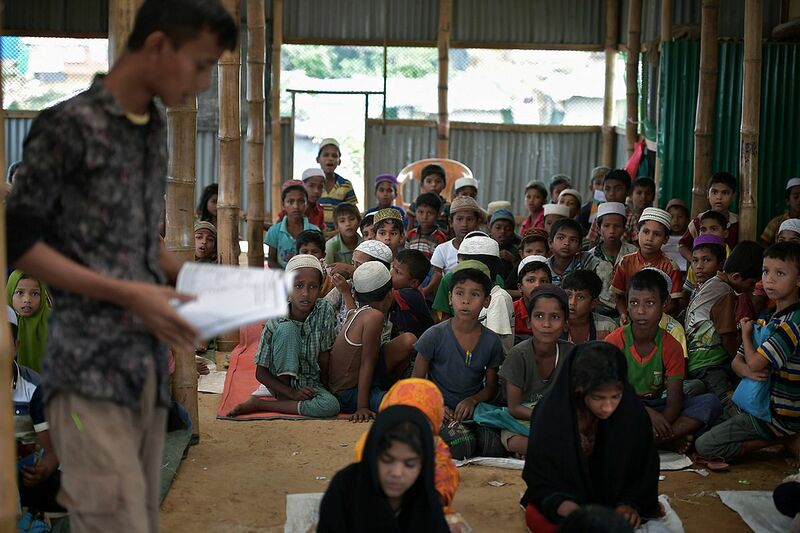 “We still haven’t received approval from the Bangladesh government to introduce a curriculum that is right for these children,” said Mr Mohammed Abdus Salam, the head of BRAC’s Humanitarian Crisis Management Programme. If the government gives the go-ahead for a multi-year programme, it would mean accepting that the children will be in Bangladesh for years. Mr Salam said the reality is that the Rohingya are not going anywhere. “At least, let them acquire some skills and study for a certification,” he said. As things stand, Mr Abdul Rahim, who used to teach at a high school in Myanmar before he had to flee to Bangladesh, finds the current efforts to teach children meaningless. “The children recite after teachers for two hours like parrots and their parents will tell you they go to school,” he said. “But 10-year-olds can’t even write their names. And when there is no light at night and the rain is seeping into their homes, do you think a child is thinking of studies? Umar said he has not learnt anything at his school that he didn’t know earlier. It’s hard to play the gracious host when your larder is bare, your pockets are empty and your guests show no sign of leaving. Your mood darkens further when the visitors hurt your livelihood and the world gives them a better deal than you. The warmth with which the Rohingya were received last year in Bangladesh’s Cox’s Bazar district that adjoins Myanmar, is now a faint, fading memory. Last year’s guests are seen as this year’s burden. “We saw them as our Muslim brothers and opened our doors to them,” says Mr Bokhtiar Ahmed, the elected councillor for Kutupalong’s local government authority. On their own soil, the hosts have been overwhelmed by the sheer number of visitors. 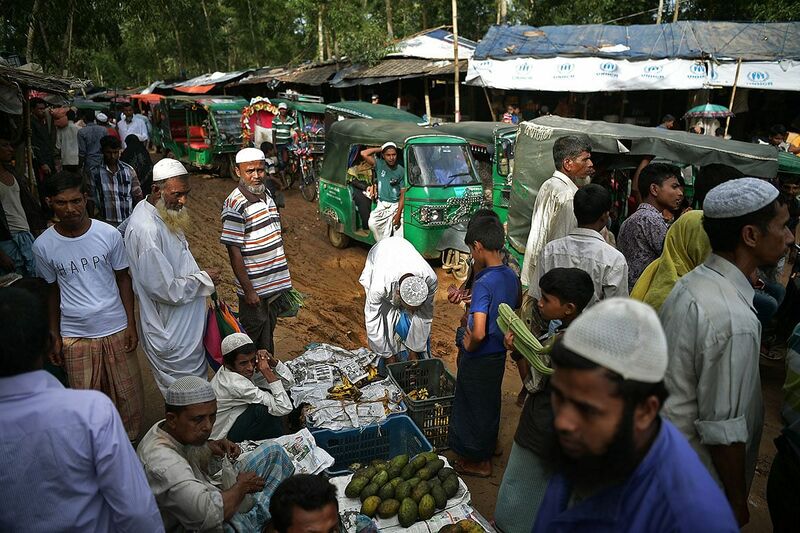 The most recent survey on camps in this part of Bangladesh alone showed that they were now home to 734,655 Rohingya people – the largest refugee settlement in the world and about three times the local population of 255,100. The survey by BRAC also revealed that only 30 per cent of the local population now “welcomed” the visitors, while the rest opposed them on two main grounds. First, they felt that the Rohingya had hurt them economically. And second, they were furious that while NGOs and authorities from around the world were providing aid and relief to their guests from Myanmar, no one had spared a thought for the impoverished hosts. Part of the annoyance is directed at their own government, which took an official decision to welcome the Rohingya when they were chased out of Myanmar last year. Posters of Bangladeshi Prime Minister Sheikh Hasina greet you at every camp - there are 34 in all - with the words “Mother of Humanity” written beneath each picture. “Our leadership is getting the credit for a good gesture, but the people here are paying the price,” said Mr Ahmed. Some 2,000 farmers had to surrender the land on which they grew their crops and grazed their animals or raised poultry to make way for the camps, he said. Most are yet to be compensated for this. Among such inadvertent victims is farmer Nazir Husain, a father of six, who says he had 2ha of land taken away from him. Mr Husain said he also owned six cows, of which three died because their grazing pastures vanished when the camps were set up. He sold the other three and, overnight, his average monthly income of 15,000 taka (S$244) fell to nil, he said. He is still waiting for some sort of compensation. Councillor Ahmed said that among his constituents evicted from their lands, one is a widow whose home is next door to the Rohingya camps. “The irony is that people living on her land are being given food and relief supplies, while this widow who has lost her livelihood gets nothing. Why can’t the NGOs give her some food too?” he asked. Even those who were not evicted from their lands have been affected. Vast swathes of trees have been cut down to make way for the camps and the relentless clearing of forests continues every day, as the Rohingya go looking for firewood to light their stoves. “Without the trees, we are getting more floods and landslides. 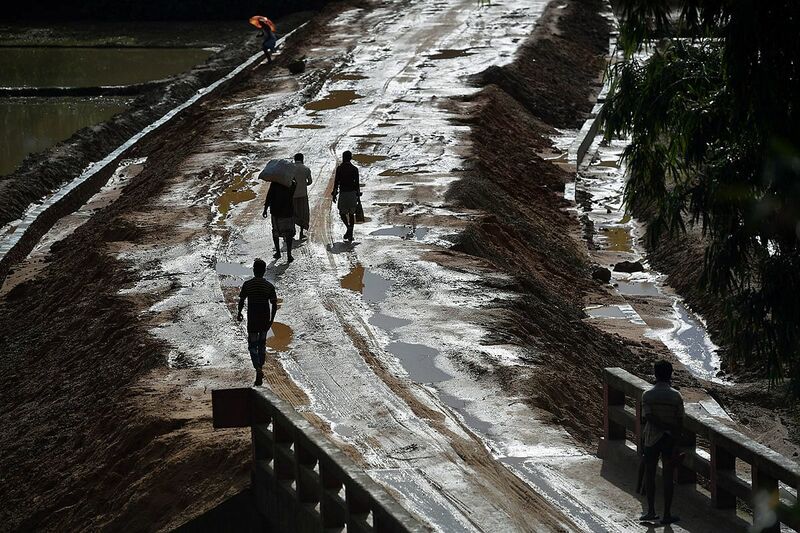 Just last week some fields got swamped with muddy water and the crops were ruined,” said Mr Ahmed. There are other irritations too. 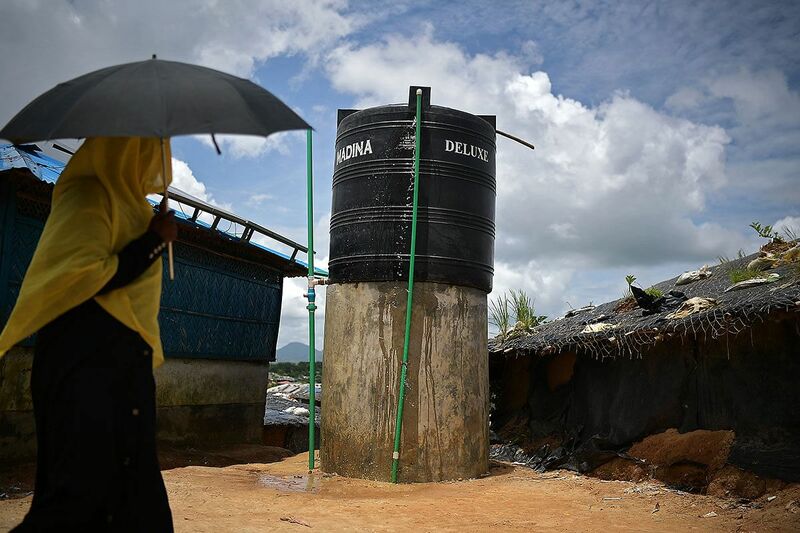 With wells for the Rohingya dug 213m deep to draw water from the ground, the water levels have fallen and the locals find their own 21m deep wells running dry. The narrow roads of Ukhiya, leading to the camps, are now clogged with traffic. Auto-rickshaw fares for children on their way to school have doubled, the locals say. A journey between Ukhiya and Cox’s Bazar town, which used to take one hour, now takes three, as cars bearing officials and volunteers have taken over this stretch, says driver Kajol Borua. Rents in the area have also shot up, as the NGOs seek space for their offices. Not surprisingly, the BRAC survey found that the incomes of the top 10 per cent – the property owners – have gone up. But most people find the calculus of playing host working against them.